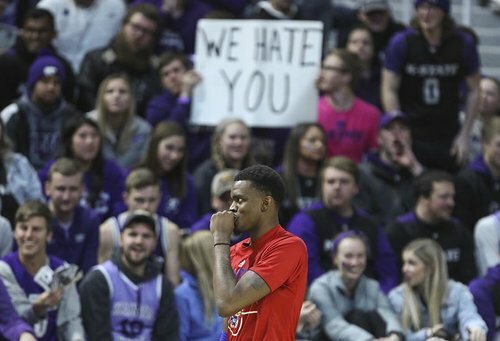 The Jayhawks (17-5 overall, 6-3 Big 12) head into hostile territory in a rare position — looking up at rival Kansas State (16-5, 6-2) in the league standings. KU aims to move past the Wildcats with a win at Bramlage Coliseum. @KUTheShiver You don’t do that when you’ve grossly out kicked your coverage. we own this state. That was funny. #KUbball wins the tip and is immediately booed by the KSU students. 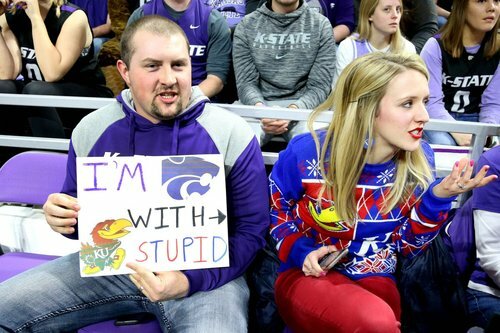 There is a "Pluck KU" sign. 3 turnovers for #KUBBALL already. Got them right where they want them. I love the KSU hate. This is literally the National Title game for them. For #KUBBALL - it's Tuesday. Block out is so stupid! K-State's struggling to attack the #KUbball 2-3 zone right now... Great wrinkle by Self. 19-14, K-State.